Currently, when you talk about tablets that have the best repute, you just have to include Samsung in the list. They do not disappoint, and you can sure be expectant of this one. The Samsung Galaxy Book proves to be one that would surely catch your attention and interest. Let us walk you through all about the tablet, and you are sure not to be uninterested. STAY. The Galaxy Book tablet measures 11.47 x 7.87 x 0.29 inches. The main body of the device is made of Metal, and it comes in the Silver colour variant. Owning this device, you’d be carrying a device that weighs 754 g. Quite a hefty one we must say, even if it is a tablet. Display size of the device is pegged at a large 12.0 inches. Display resolution is set at a 2160 x 1440 pixels. Taking care of how you see on-screen images and icons is a 216 ppi pixel density which we think is a bit lower than expectations. Samsung Galaxy Book features a Super AMOLED display type which has a 73.63 % screen-to-body ratio. While this device is gladly built on a Windows (10) operating system, It sports a Dual-core Intel Core i5 processor. It also comes with a quite impressive processor speed of 3100 MHz. We think the operating system of this Samsung Galaxy Book tablet is great. But at this time and age, people would have preferred a dual-core tablet. I’m just saying though. For your storage of videos, music, files and many other documents, this tablet offers users with a whopping 256 GB space. At this point, we begin to wonder what exactly you want to save on the device. What is more surprising again is that this same space can be expanded to the tune of another 256 GB. This is with a micro SD card. Samsung has really tried in this department. On it RAM, Samsung did not abandon it as the device also comes with an impressing 8 GB RAM. You want us to choose a selling point for this device? We’d say it’s in this department. Even if tablets generally do poorly well in the camera aspect, Samsung Galaxy Book wants to prove a point. The tablet features a 13 MP camera on the rear while featuring Autofocus, Digital zoom and Geo tagging. While on the front, there’s a 5 MP camera. If you have followed tablets for quite a while, you’d agree that the camera of this device is somewhat very okay. The only limitation here is the lack of flash. As the powerhouse on which every other thing runs, Samsung provides a 5070 mAh battery capacity. The battery is definitely not user replaceable. Video playback time for the device is pegged at 11.00 hours. On a general note, we think such battery capacity aims to serve the heavy users in the market. Even if most tablets have powerful batteries, we still have to give it up for the Samsung Galaxy Book. The price of the device is pegged at $1,129. 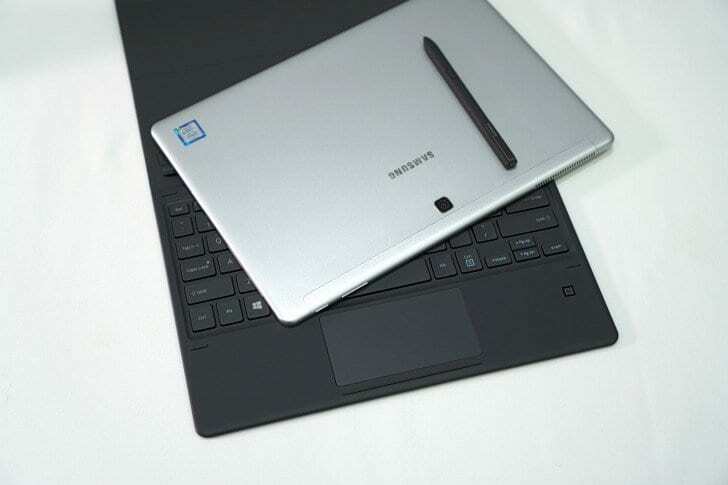 The price of the Samsung Galaxy Book tablet in Nigeria ranges from N340,000 to N360,000.